So, this day in Berlin I want to tell you about. It’s the best day I’ve ever had. I’ve so far failed to get my friends to feel excited about it, so here I am. Do pretend you’re excited. Imagine an autumnal day – early September, cool breeze, falling leaves. I was visiting a friend in Berlin. This was my second time there and I felt like exploring. My friend was kind enough to suggest a route, and off I went. This is when you might like to pull up your mental map of Berlin, or look up a digital one. 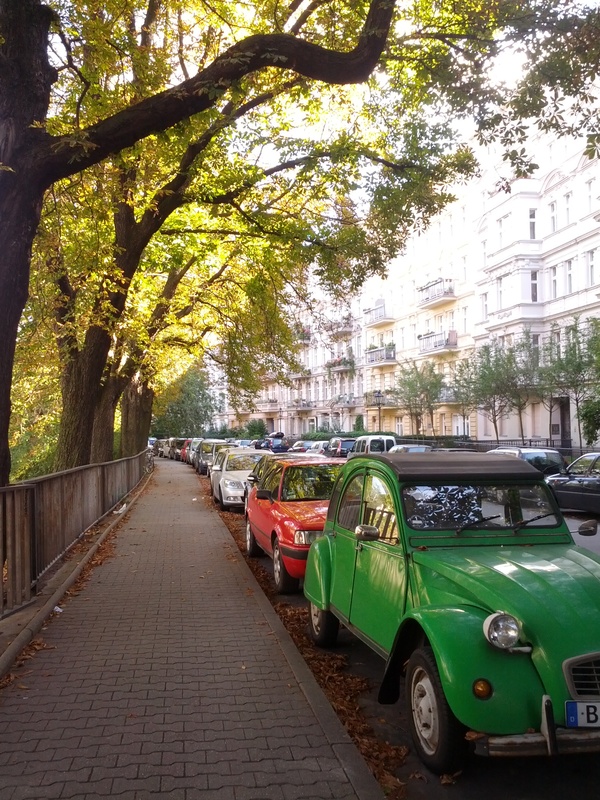 From Kottbusser Tor in fashionable Kreuzberg, I set off on foot – leather jacket casually slung over one shoulder (my friend insisted that I bring it, and he was right – the wind did get a bit chilly). Direction of travel? East Berlin. I’ve always had a fascination with East Berlin, and of 20th century Germany in general, but more about that later. Armed with my jacket and my music, I followed the canal that would lead me to the Spree and East Berlin on a small tree-lined road called Paul-Lincke-Ufer (I don’t know how they come up with these names). 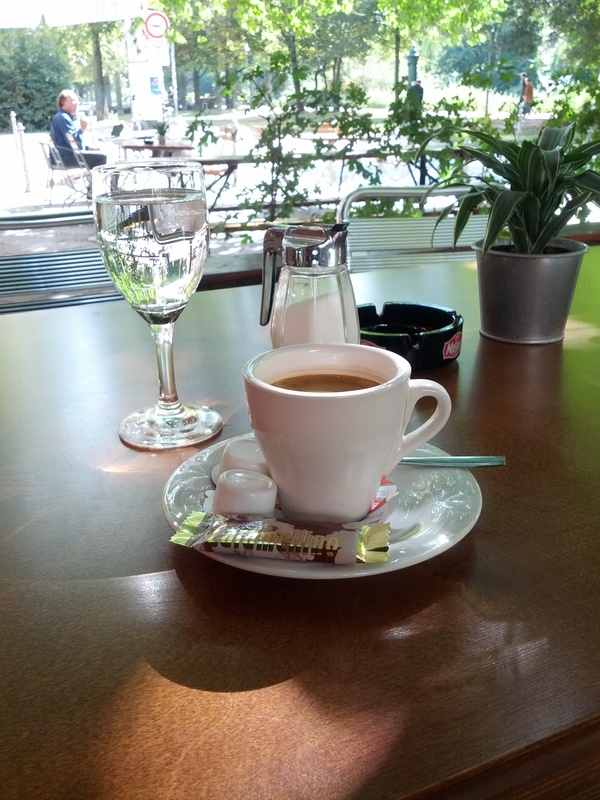 I passed by a café and duly stopped for a coffee. And I had one of those transcendental moments when you feel at one with yourself and your surroundings. One of those moments of absolute stillness. I felt at peace with myself. Have you felt it? I hope you do at some point – it’s an exhilarating feeling. The ‘moment’ I was on about. 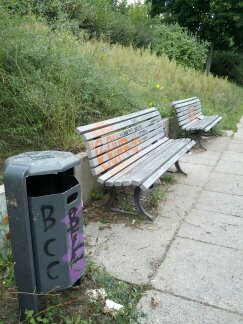 Benches overlooking (former) East Berlin. I find this deeply fascinating. I sat down for a while to absorb the moment. The passerbys seemed puzzled. They looked at me sympathetically – they must have thought I was too tired to walk. Or something. Eastward and upward I trodded, expertly dodging incoming runners and cyclists (one of those survival skills you learn early as a pedestrian). I crossed into East Berlin. I’m not sure when exactly. I don’t think there was a sign. I don’t think anyone would want there to be one. Sometime later, though, I turned onto Puschkinallee – and there you can’t possibly feel more ‘East Berlin’. Sufficiently awed by the impressive tree-lined boulevard, I continued onward to Treptower Park. You’ve probably heard of Berlin’s famous Tiergarten – and my oh my, that park is an absolute beauty. Treptower Park, though, is of a different breed and stunning in a different way. If you like history and have heard of World War II, I recommend a visit. 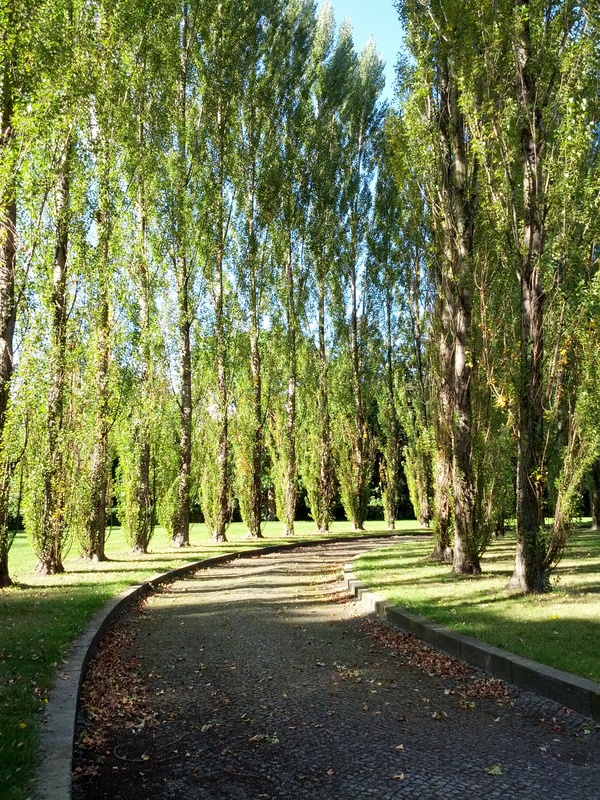 The park is home to the Soviet War Memorial – a “vast war memorial and military cemetery” according to Wikipedia. It opened in 1949 (or so Wikipedia tells me). And it is a breathtaking piece of Soviet architecture. I must have spent at least two hours there, reading. 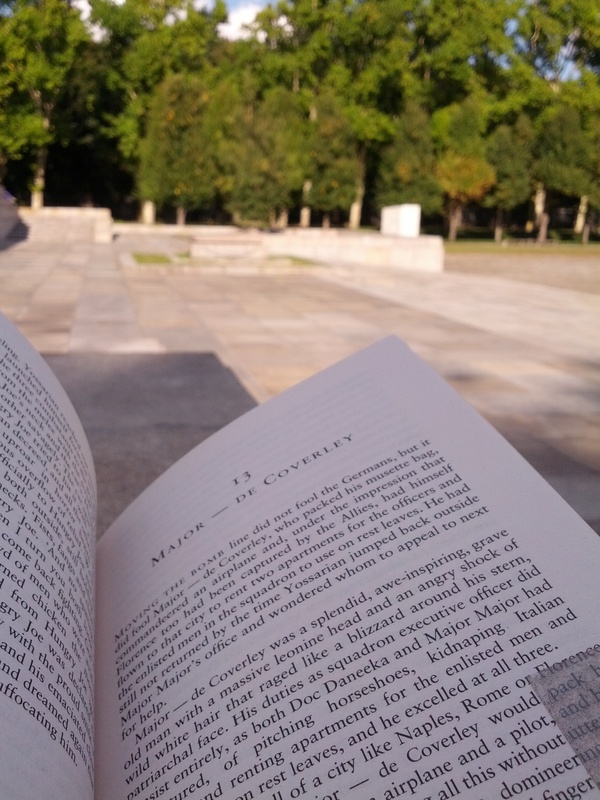 Reading Joseph Heller’s ‘Catch-22’ while sitting cross-legged, back against the wall, on the granite steps of the Soviet war memorial in Berlin – there’s nothing quite like it. Having had my fill of World War II and starting to get cramps, I left the park and crossed the Elsenbrücke (‘brücke’ is bridge in German) to my last destination of the day. 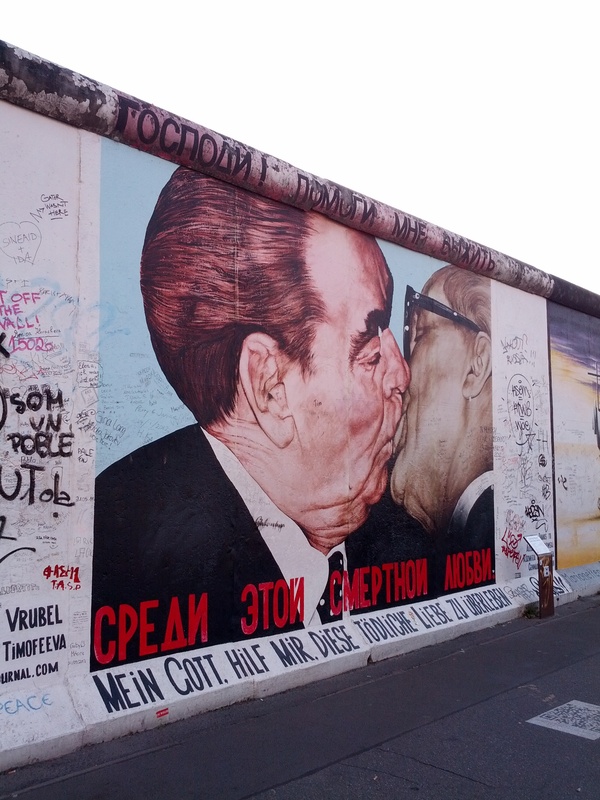 An absolute must-see for a history enthusiast like myself: the East Side Gallery – the longest remaining stretch of the Berlin wall featuring some of its most famous paintings, notably Vrubel’s re-painted ‘Fraternal Kiss’ (or its longer and much more comical name: ‘Mein Gott, hilf mir, diese tödliche Liebe zu überleben’). 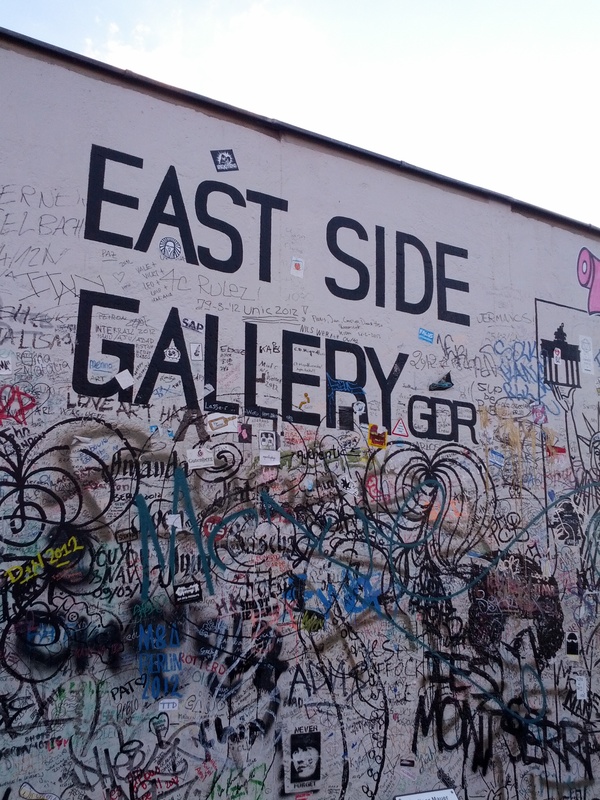 In a moment of sparkling brilliance earlier that morning, I decided to incorporate a leisurely stroll along the length of the East Side Gallery in my walking route. And what a brilliant idea it was. There’s nothing quite like walking the last remaining stretch of the Berlin wall. If you’re thinking of doing the same, though, don’t. It’s long. Hire a bicycle, borrow one, take one from the streets if you will. By the 1km mark, the jacket I was wearing felt more leaden than leathery, and the decision to bring an umbrella (in case it rained – one of the acquired habits of a Londoner) and a book didn’t seem so smart anymore. The famous painting. Yes, the one with the really long German name. So, 1.3km later, I made it to a bridge that would take me back to Kreuzberg. The first thing I did when I got back to my friend’s? Demand a beer, to which he readily obliged. My friend is, after all, German. Oooh… how long for? I’ve only ever been there for a few days at a time. I imagine it’d be a great place to spend a more extended holiday where you absorb yourself in the Berlin life and not only do ‘touristy things’, for lack of a better word! Christmas in Poland! Now that’s something I haven’t tried. Warsaw? I’ve only ever been to Auschwitz to visit the camps. Which gives me an idea… I’d better write about that! Ahaha. Enjoy your travels! I look forward to visiting new places through your page. 🙂 Poznan, have family there ! thank you! Here I want to write mostly about my region Tuscany:) But it doesn’t change a fact that I love traveling 🙂 Greetings from Siena ! !